Our Local Favourites in Playa Flamenca for this visit January 2009. 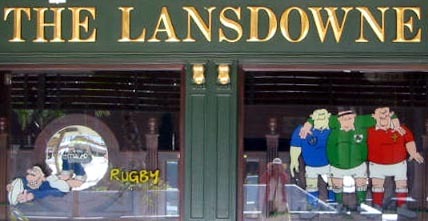 Irish bar, will be showing all of the 6 nations rugby live, plus other sport too, on large screens. Friendly atmosphere and watch out for the wicked gin and tonic. *** New dining franchise called D4 - did not have the chance to try this but the menu looks good. *** Now Boomerang Bar and under new management. The New Cube Bar also in the Flamenca Beach commercial centre. New owners took over around New Year and have already survived 2 break-ins and a flood and are still smiling. Plans are for sport and an Australian feel. The Office Bar in the Horizonte commercial centre. Friendly English pub feel, football on the telly and Liverpool FC and other football memorabilia. Has internet connection and printing. Now called the new Asturias Pizzeria. See more on this in the Spanish section. Good value food and drink and a variety of tapas. The old Asturias Restaurant on the N332 just beyond Lidl is under new management and I have not yet been in. El Carmen pasteleria at La Campana commercial centre along the N332. There is also one in Torrevieja. This has cakes to die for, arranged so beautifully. I have taken a photo, hope it comes out well. Also snacks and coffee and the wonderful freshly squeezed orange juice. See more on this in the Spanish section. Vida – coffee house, pasteleria and sandwiches - in the Flamenca Beach commercial centre on the main middle level. This is also new and run by Irish girls. Food is very fresh, made for you, and the coffee is great – a wide selection of Italian and Spanish styles. This was being re-furbished when I was there. *** It will now be a coffee shop during the day and a tapas bar in the evening. Good Luck. Quattro Stagioni in the basement of the Flamenca Beach commercial centre. Great pizza, good selection, crispy chips and free delivery for orders over 15 euros. You can also eat in and the freshly cooked pizza is fantastic. Also known as Karim Kebabs. These were our favourites on this trip. You can also try the following which we have been to on other visits. Spud Murphy’s for authentic fish and chips – but make sure you book for evening meals, they are amazingly busy even now when it is quiet here. It is on the mid level of the Flamenca Beach commercial centre. The Shakira Indian restaurant, also on the mid level of the Flamenca Beach commercial centre. Of course the Sunrise on the top floor of La Mosca commercial centre if only for the view. And the Oasis cafe bar at the actual Playa Flamenca beach for snacks and smoothies. And good coffee too. As always, things change so this is a snapshot of the current situation. It is also purely personal and of course tastes vary.